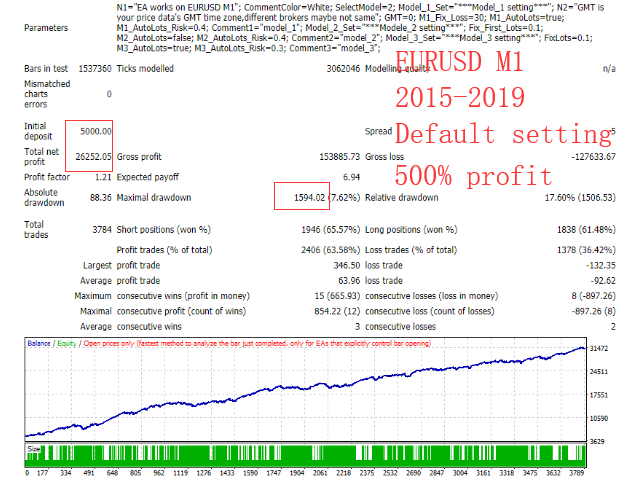 Models_EA is a multi-model hybrid trading system that focuses on EURUSD. It currently includes three trading models: Breakout, Band and Momentum. The system does not include high-risk strategies such as Martingale, Grid or Scalp, and every order with a stop loss and will not blow your account.It's a system that relies on probabilistic advantages to continuously output profit. 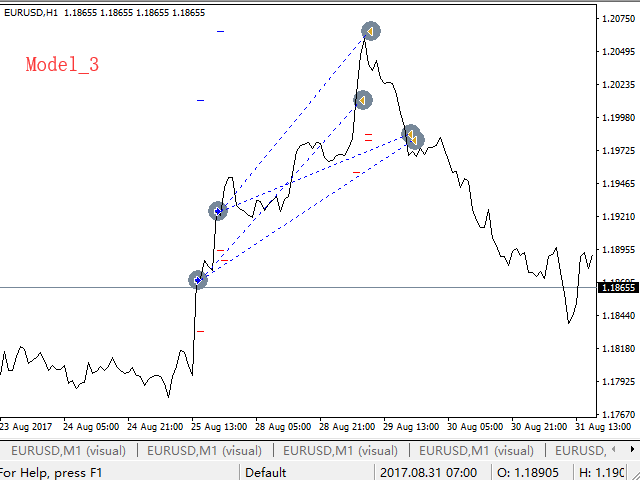 The default parameters works on EURUSD M1. (Model 2 Fixed Position Mode) . 1. Does not include high-risk strategies such as Martin, grid, scalp, or high frequency trading. Each single position has been scientifically calculated with appropriate stop loss, low risk, and strong resistance to black swan. 2. EA models relies on high, open, low, and close, and does not depend on other beating prices in the K line, so the test results using every tick, control point or opening price only are highly consistent. 3, stop loss and profit points are large, not affected by platform slippage and delay, whether it is local computer or VPS, EA running effect is highly consistent. 4, high, open, low, and close are real history data, while the strategy does not have excessive optimization and special market filtering, so the real and test results are also highly consistent. 5, The test trades in the past 8 years are close to 15,000, each order is an independent trade, with strong compounding ability. 6. Models 1 and 3 are trend strategies, and model 2 is a shock strategy, which can better cope with shocks and trend markets. 1. For backtest: With accurate historical data and the GMT time zone of the data will not change, you can test 3 models at the same time; if the data is not accurate enough or the GMT time zone will change, you can only test Model 2 (default parameters) and Model 3. If you don't know how to get high qulity history data,contact to me,and i will help you. 2. 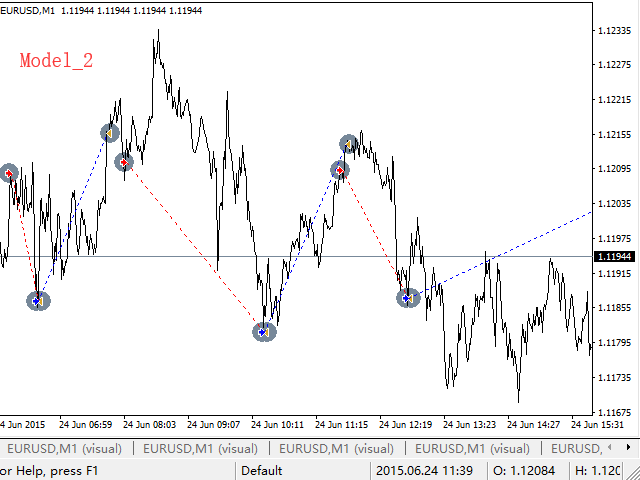 Pair and TimeFrame: EURUSD M1. 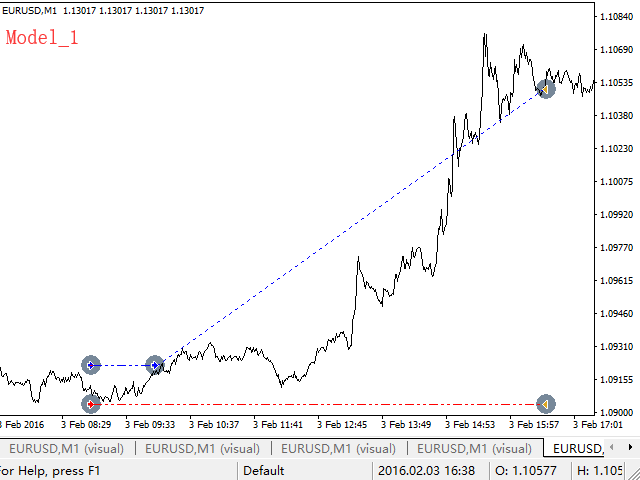 Ps:GBPUSD and USDJPY also can make profit,but EURUSD is best. 3. Better useing ECN or STP low spread brokers to ensure consistency between the real and test orders. 4. When working on real account, you can open three models and use AutoLots mode, but you need to pay attention to setting the GMT parameters according to the time zone of your broker. N- Not important parameter,N- important parameters. Finally, thanks for taking the time to read and understand my EA. If you have any question, please consult me through the MQL5 community. Update Model 1 entry time more accurate.